Social networking giant and internet telephone giant are all set to shake hands. This news comes in a time when we heard rumors that Facebook is building its own phone and also Skype 5.0 version is about to be released in few weeks. This partnership could further strengthen Facebook network with its users as communication could reach much higher level than just writing on the wall and sharing photos with friends. It looks like what has been proposed that…. when Facebook users sign in to the website they would also sign into Skype. 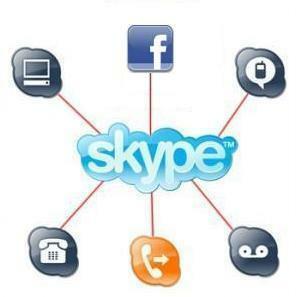 When signed-on, the Facebook users can use the Skype’s services like text messages, voice chat and video chat with Facebook friends [within Skype]. This is very exciting to hear! Oh Google, the God of Internet, what are you going to do?